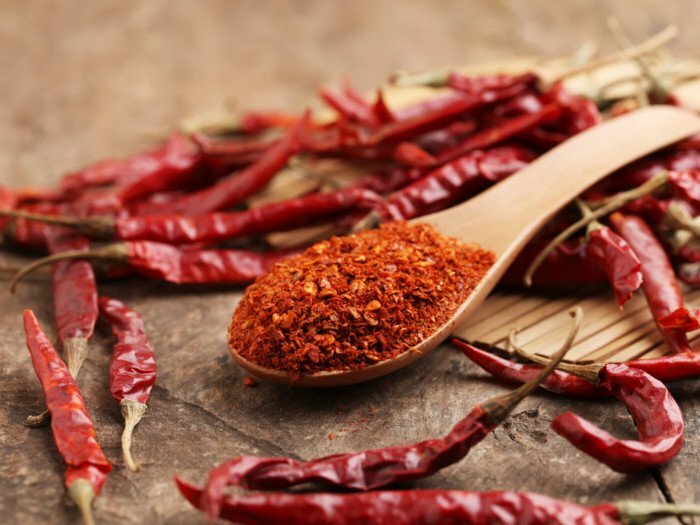 Cayenne Pepper Explained - What is it and How Does it Work? 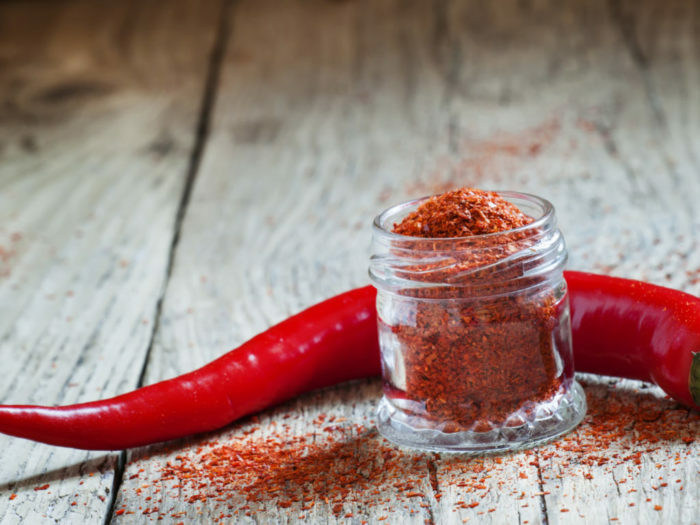 Home » Supplements » Fat Burners » Cayenne Pepper Explained – What is it and How Does it Work? A regular face in fat burner supplements, find out if this food extract can really help you drop weight. Often used to turn up the spice in a range of dishes, cayenne pepper is commonly found in supplements due to its thermogenic qualities. In other words, it boosts your metabolism, helping you burn more calories. Research shows this pungent extract can not only improve your health, but also increase direct fat oxidation too . But how effective is it as a weight loss aid? This detailed guide looks at cayenne and brings you the full lowdown on its safety and effectiveness. 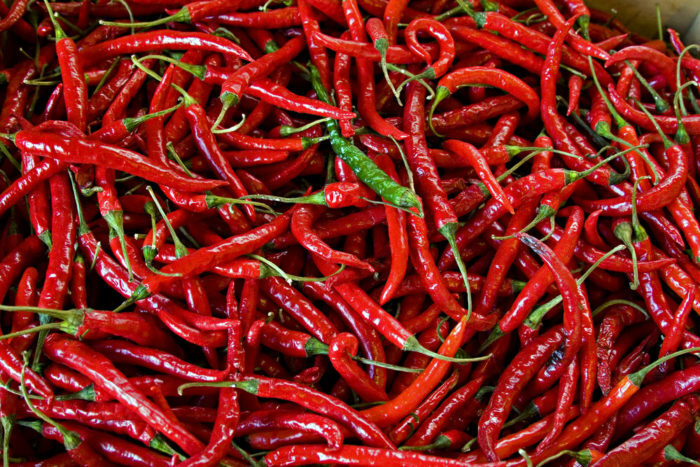 Used in cooking to spice up your meals, cayenne pepper comes from the fruit of the Capsicum plant. It’s often added to curries and chilies to provide mouth-watering flavor and eye-watering heat. Thought to originate in Central America, cayenne contains capsaicin – an alkaloid compound that stimulates neurogenic inflammation and provides sensations of pain and heat. Capsaicin is essentially a compound that tricks your tongue into thinking it’s on fire. As mentioned above cayenne pepper originated in Central American, but is now used the world over, and favored for it’s spice and versatility in cooking. Otherwise known as bird pepper, Guinea spice and red pepper, cayenne provides more than just heat on your tongue. Often dried or used as cayenne pepper seeds or flakes, the pungent pepper is a favourite of the ‘chilihead’ – those that love spicy hot food and get a euphoric feeling from spicy food. Due to it’s popularity, you can buy cayenne in most well stocked food stores and will be able to find them in a range of hot, spicy sauces. There’s more to this vibrant pepper than its heat or versatility in the kitchen. High in antioxidants and other nutrients, cayenne helps to promote health, wellness and overall longevity. That’s why it’s been used as a traditional herbal remedy for hundreds of years. Cayenne pepper health benefits are wide and varied. Firstly, the bright red color of the pepper comes from its high carotenoid content – an organic pigment high in vitamin C.
Studies show that cayenne has a protective effect on your heart and circulatory system, boosting blood flow and helping to reduce cholesterol levels, plaque build-up and triglycerides . One review found that capsaicin had an antioxidant effect on the cardiovascular system, and as such was able to protect against atherosclerosis – or hardening of the arteries . The capsaicin content of the pungent bird pepper attaches to TRPV1 nerve receptors that sense pain. This response can have an anti-inflammatory effect, helping those who suffer from agonizing nerve, muscle or joint pain to manage their symptoms. It appears to be a particularly effective therapeutic supplement for osteoarthritis, diabetic nerve pain and auto-immune illnesses . Not only does cayenne pepper reduce blood lipids levels, it also regulates insulin levels too. Adding pepper to your diet can improve the insulin response by as much as 24%, helping to promote better post-prandial management of blood sugar . Cayenne has long been used for its analgesic effects. Not only that, red pepper shows strong evidence of its cardiovascular and metabolic-protective benefits. As a fruit, cayenne is actually jam-packed full of vitamins and nutrients. You’ll find vitamin A, B6, C and E in this vividly-bright pepper, as well as copper, manganese and a range of flavonoids. And this helps it to support overall health and well-being. Cayenne pepper and weight loss – Does capsaicin work for fat loss? 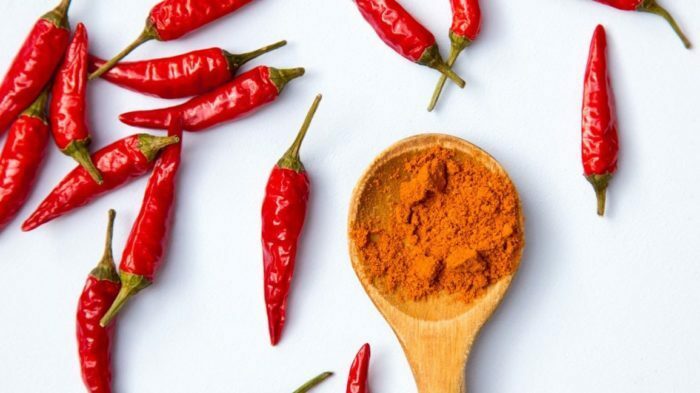 The burning question on your lips is ‘can cayenne pepper boost fat loss’?… and you’ll be pleasantly surprised by the answer. This is why the cayenne pepper diet revolution is so popular. A thermogenic supplement increases heat within your body when you eat it – and the effect is an increase in metabolic rate as your cells work to cool you back down. A study published in the Journal of Nutritional Science and Vitaminology reported that when a group of volunteers were given cayenne pepper with their meal, their energy burn went into overdrive . It was significantly higher than a control group who didn’t ingest cayenne. The most important part of the fat loss war is calorie balance. If you don’t burn more than you put in your body, you just won’t burn fat. But once you’re in a negative energy diet, cayenne pepper appears to accelerate results. A study from 2013 found that when volunteers were in a calorie deficit, cayenne pepper offset a loss in energy levels, helping the group to stay active and not feel lethargic or restless . Scientist running the same study also found that fat oxidation was higher for a full 24-hours. Finally, a large-scale meta-analysis (these are the most robust scientific research projects) found that adding even a small amount of the spice to meals helped to reduce the number of calories volunteers ate . This supports the other fat burning cayenne pepper benefits. How much cayenne pepper should I take? Studies have used a wide range of doses when it comes to – from a pinch here and there to a full, eye-watering 10 g.
A good place to start would be to add fresh cayenne pepper to your meals. If you’re using a fresh cayenne, you should be able to add more than if you were using capsaicin alone. If you’re not a fan of spice and still want the fat melting benefits, you can find a capsaicin supplement as an alternative. Look for something that offers around 30-120mg and aim to take it anywhere between once and three times a day. According to the scientific studies reviewed in this article, this seems like the most appropriate cayenne pepper weight loss diet quantity – enough to work, but not enough to give you any side effects. As your body adapts, you can add more. Some studies have used tincture where cayenne is dissolved in an alcohol solution. Others have even used patches that provide a time-released dose of the fruit. But most of these were for severe pain management as opposed to helping people lose weight. In terms of any potential cayenne pepper side effects, don’t worry. It’s completely safe. If you’re a fan of spicy meals, you might find you can tolerate cayenne pepper really well. However, if spicy food isn’t your thing you might find that too much in one go will lead to digestive discomfort or nausea – so start off small and build up slowly. Again, stick with 30-120mg of capsaicin each day and add more if needed. Additionally, we’d always recommend consulting a physician if you think the ingredient could interfere with any other existing medical issues you might have. Cayenne pepper is more than just a spice. It’s a reliable analgesic and powerful all-natural fat burning tool. It can helps reduce cravings and appetite, while supercharging fat oxidation and energy levels. 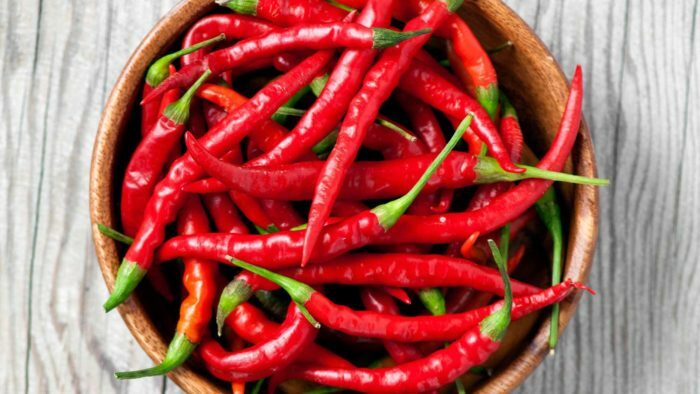 Widely available as a fresh fruit, dried spice or as a key ingredient in premium fat burning supplements, cayenne pepper is both safe and effective for regular use. Yoshioka, M et al. Effects of red pepper added to high-fat and high-carbohydrate meals on energy metabolism and substrate utilization in Japanese women. Br J Nutr. 1998;80(6):503-10.